Today, the National Academy of Recording Arts and Sciences revealed the nominees for the 2018 Grammy Awards. Now in its 60th year, the ceremony recognizes the best recordings, compositions, and artists of the eligibility year (Oct. 1st, 2016 – Sept. 30th, 2017). The award for Album of the Year offers one of the more impressive slate of nominees in recent memory, with Kendrick Lamar’s DAMN., JAY-Z’s 4:44, Lorde’s Melodrama, Childish Gambino’s “Awaken, My Love!”, and Bruno Mars’ 24K Magic all in the running. Kendrick, JAY-Z, Gambino, and Mars are all also nominated for Record of the Year. Though, it remains to be seen whether Kendrick’s “HUMBLE.”, JAY-Z’s “The Story of O.J.”, Gambino’s “Redbone”, or Mars’ “24K Magic” can topple Luis Fonsi & Daddy Yankee’s massive hit “Despacito” featuring Justin Bieber as next year’s winner. “Despacito” is also up for Song of the Year alongside JAY-Z’s “4:44”, Mars’ “That’s What I Like”, and Logic’s suicide awareness anthem “1-800-273-8255”. Best New Artist candidates include Top Dawg rapper/singer SZA, rising pop phenom Alessia Cara, R&B singer Khalid, rapper Lil Uzi Vert, and pop/dance singer Julia Michaels. Best Rock Performance nominees include Foo Fighters’ “Run” alongside two posthumous contenders in Chris Cornell’s “The Promise” and Leonard Cohen’s “You Want it Darker”. Foo Fighters’ “Run” is also up for Best Rock Song, but the band’s latest album, Concrete and Gold, failed to secure a Best Rock Album nod. Instead, Queens of the Stone Age’s Villains, Mastodon’s Emperor of Sand, Metallica’s Hardwired…to Self-Destruct, and The War on Drugs’ A Deeper Understanding (!) will duke it out for the accolade. Alternative Album of the Year contenders include Gorillaz’s Humanz, LCD Soundsystem’s American Dream, Arcade Fire’s Everything Now, The National’s Sleep Well Beast, and Father John Misty’s Pure Comedy. Gorillaz and LCD Soundsystem also find themselves nominated for Best Dance Recording for “Andromeda” and “Tonite”, respectfully. On the hip-hop front, Kendrick Lamar rules the day with nominations in all four categories: “LOYALTY.” is up for Best Rap/Sung Performance”, “HUMBLE.” is nominated for both Best Rap Song and Best Rap Performance, and DAMN. is in contention for Best Rap Album. 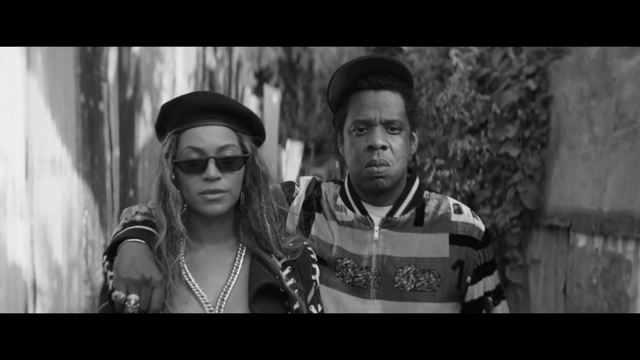 Appropriately, Jay-Z featuring Beyoncé scored a joint Best Rap/Sung nomination for “Family Feud”; Cardi B’s “Bodak Yellow” was surprisingly left out of the major categories, but it did pick up nods for Best Rap Performance and Best Rap Song. The mighty Migos see their album Culture up for Best Rap Album and their song “Bad and Boujee” up for Best Rap Performance. Also of note: Run the Jewels and Big Boi’s collaboration with Danger Mouse, “Chase Me”, is nominated for Best Rap Song. In addition to his nominations for Album of the Year and Record of the Year, Childish Gambino is up for Urban Contemporary Album and Best R&B Song (“Redbone”). Best New Artist contender SZA is also nominated for Urban Contemporary Album (Ctrl), R&B Song (“Supermodel”), R&B Performance (“The Weekend”), and Rap/Sung Performance (“Love Galore”). Other notable nominees: Portugal. the Man’s “Feel It Still” scored a Best Pop Duo/Group Performance nomination; Lana Del Rey’s Lust For Life earned a nod for Best Pop Vocal Album; Sylvan Esso’s What Now is up for Best Dance/Electronic Album; former Democratic presidential candidate Bernie Sanders received a Grammy nod for Best Spoken Word Album (Our Revolution: A Future to Believe In); and composer Hans Zimmer scored two Best Score Soundtrack nominations for Dunkirk and Hidden Figures. The 2018 Grammy Awards take place on Sunday, January 28th, 2018 at Madison Square Garden in New York City. The ceremony will be broadcast live on CBS, hosted by James Corden. See all the notable nominees below, and check out the full list here.